Teaching your horse to back with a gentle signal without using dominant body language to push him out of your space. Your horse needs to be able to “Flex” for you to achieve total control in problem situations. 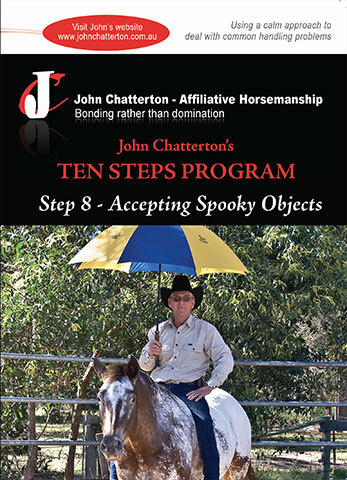 Johns backing technique requires no force or running the horse backwards out of your space. By learning these simple backing signals from both sides, the horse will back willingly one step at a time. 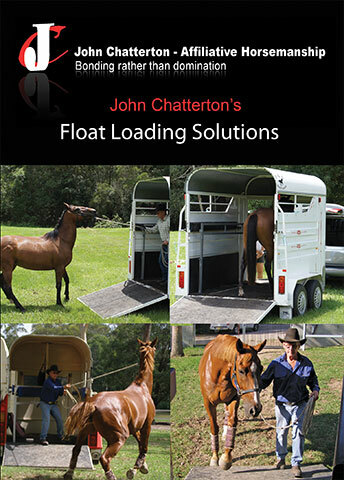 Backing is extremely important for backing horses slowly out of the float or learning to apply a downward transition on the lunge or when being long reined. 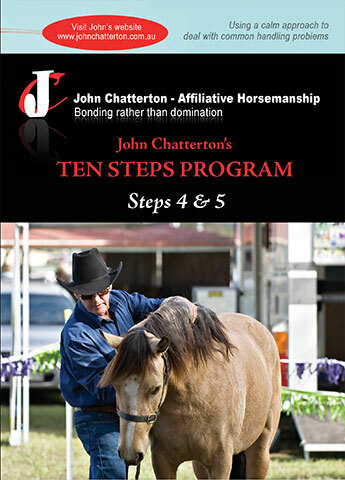 John uses backing when starting young horses on the long rein to encourage them to engage their hindquarter, which in turn will strengthen their back muscles before being ridden. 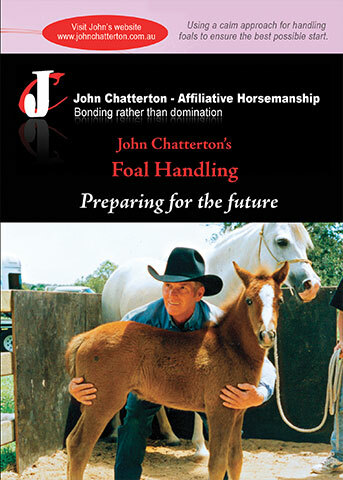 John believes flexing is the key to a well trained horse. He has broken this step down into five stages. Flexing is all about teaching your horse to communicate with you rather than to switch off. Horses often resorted to switching off when confused. 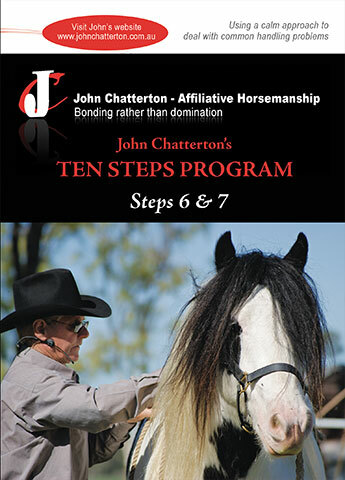 This step is a valuable tool to teach your horse to turn and look instead of shying or running away. Flexing is very important for encouraging the horse to soften in the neck and spine with the confidence to look towards you when being handled. It also encourages them to look into the circle when being lunged rather than running with their head facing out of the circle, which means they are blanking the handler out. You will find that when you have taught your horse to flex softly around toward your leg when in the saddle, that you will be able to take control in a calm manner if your horse gets a fright. Pulling on two reins to take control will only exasperate the situation. One rein is the key!